Venkat’s recent post The Disruption of Bronze touched on a subject I’ve been pursuing fervently for the better part of a decade now: the time frame in which psychologically modern humans evolved. More than that, however, my interest is in why and how human psychology shifted to cause the sudden, radical changes that ultimately resulted in civilization. My view is that without an understanding of this shift, there can be no evolution beyond the devouring, predatory virus that is civilized culture. In a mere 10,000 years, civilization has all but wrecked the planet — a truly impressive horror. Collapse (of either the slow or sudden variety, take your pick) is a certainty, in my opinion; what I needed, for my own sanity, was a context in which to fit this state of affairs. Does the story really begin and end with American avarice? Are humans condemned to repeat the rise-and-fall of civilizations until we wipe ourselves out for the last time? Is there no greater narrative arc here? Civilizations rise and fall not in isolation, but as complexes. They follow the outbreak of certain memes, as evidenced by the archaeological record, in clusters of time and geography. In the West we humans do civilization not only because of what we think, but because we think our thoughts in a specific kind of way. It makes sense then that the narrative arc should begin with the emergence of our specific kind of thinking. Anthropologist E. Richard Sorenson is best known in academic circles for pioneering what’s known as “visual anthropology”: the use of non-dialectic observational techniques in the field of anthropology, most often through the use of film. Academics are, however, notorious for missing the forest for the trees; Sorenson’s real contribution came as a result of his techniques. Most of us know about subliminal awareness—the type of awareness lurking below actual consciousness that powerfully influences behavior. Freud brought it into the mainstream of Western thought through exhaustively detailed revelations of its effects on behavior. But few, including Freud, have spoken of liminal consciousness, which is therefore rarely recognized in modern scholarship as a separate type of awareness. Nonetheless, liminal awareness was the principal focus of mentality in the preconquest cultures contacted, whereas a supraliminal type that focuses logic on symbolic entities is the dominant form in postconquest societies. which their highly honed integrative empathy and rapport become possible. When that openness gives way, empathy and rapport shrivel. Where deceit becomes a common practice, they disintegrate. Where consciousness is focused within a flux of ongoing sentient awareness, experience cannot be clearly subdivided into separable components. With no clear elements to which logic can be applied, experience remains immune to syntax and formal logic within a kaleidoscopic sanctuary of non-discreteness. Nonetheless, preconquest life was reckoned sensibly—though seemingly intuitively. Given the widespread nature of Sorenson’s findings, and the almost complete absence of supraliminal symbology in any given culture’s archaeological record prior to its own Neolithic Revolution, it would appear that this liminal consciousness is the default psychology of anatomically modern humans. “Pre-conquest” peoples do not have the capacity for intellectual abstraction, not because they are less intelligent — the homo sapiens sapiens brain has not changed physically for something like 200,000 years — but because their mental capabilities are focused entirely on the here and now. Gods and goddesses, writing, numbers and the like cannot exist in the “complex flux of collective sentient immediacy” because they have no physicality with which to be either sentient or immediate. Such things exist entirely in the abstract. They are, for all intents and purposes, not real. If liminality is the default mode of consciousness for pre-civilized humans, animism is the default context which liminal consciousness observes. Animism is not a religion — liminality affords no intellectual soil for such a thing — but is rather a comprehensive weltanschauung based entirely on the observable immediate. The term animism is derived from the Latin word anima meaning breath or soul. The belief of animism is probably one of man’s oldest beliefs, with its origin most likely dating to the Paleolithic age. From its earliest beginnings it was a belief that a soul or spirit existed in every object, even if it was inanimate. In a future state this soul or spirit would exist as part of an immaterial soul. The spirit, therefore, was thought to be universal. The next morning I finished the sliced fruit, waited for my hostess to come by for the empty bowl, then quietly headed back behind the buildings. Two fresh palm-leaf offerings sat at the same spots where the others had been the day before. These were filled with rice. Yet as I gazed at one of these offerings, I abruptly realized, with a start, that one of the rice kernels was actually moving. Only when I knelt down to look more closely did I notice a line of tiny black ants winding through the dirt to the offering. . . The line of ants seemed to emerge from a thick clump of grass around a nearby palm tree. I walked over to the other offerings and discovered another line of ants dragging away the white kernels. . . There was an offering on the ground by a corner of my building as well, and a nearly identical line of ants. I walked into my room chuckling to myself: the Balian and his wife had gone to so much trouble to placate the household spirits with gifts, only to have their offerings stolen by little six-legged thieves. What a waste! But then a strange thought dawned on me: what if the ants were the very “household spirits” to whom the offerings were being made? I soon began to discern the logic of this. . . The daily gifts of rice kept the ant colonies occupied — and, presumably, satisfied. Placed in regular, repeated locations at the corners of various structures around the compound, the offerings seemed to establish certain boundaries between the human and the ant communities; by honoring this boundary with gifts, the humans apparently hoped to persuade the insects to respect the boundary and not enter the buildings. Yet I remained puzzled to my hostess’s assertion that these were gifts “for the spirits.”… While the notion of “spirit” has come to have, for us in the West, a primarily anthropomorphic or human association, my encounter with the ants was the first of many experiences suggesting to me that the “spirits” of indigenous culture are primarily those modes of intelligence or awareness that do not possess a human form. It is probably impossible for someone acculturated to Western thought to truly grasp an animist worldview. But from what I have learned, animism seems to be the way in which liminal consciousness interacts with its environment. The “complex flux of collective sentient immediacy” in which liminality occurs cannot be separated out of its surroundings — therefore everything is part of the sentient collective, including trees, rocks, animals, rain, natural phenomenon such as thunder, and ants. Liminality perceives consciousness in everything because in the absence of abstract logic — or even the ability to conceive of abstract things — universal consciousness is really and truly what is observable. We’ve all grown up hearing that the Tigris-Euphrates river valley, located in what is now Iraq, is the “cradle of civilization.” In fact, it is the cradle of only one: Western civilization, and the long line of civilizations that rose and fell along our cultural family tree. The time frame in question is approximately 15,000-10,000 years ago. As far as I have been able to determine, the West’s pre-civilized, cultural ancestors lived at this time with the same liminal-animist psychology as hunter-forager peoples everywhere. The archaeological record demonstrates no compelling reason to conclude otherwise. The climate during this time experienced three major fluctuations. The Older Dryas stadial saw a cooling that lasted about 400 years, from 14,000-13,600 years ago. The climate then warmed for about 700 years during the Allerød interstadial, which lasted from about 13,600-12,900 years ago. Then came the Younger Dryas stadial, when the climate cooled again for approximately 1,260 years, from 12,900-11,640 years ago (or 10,900-9,640 BC). The end of the Younger Dryas stadial coincides with the beginning of the Neolithic Revolution in the Tigris-Euphrates river valley. The currently prevailing theory is that as the Younger Dryas took hold in southwest Asia, hunter-foragers were forced into a more settled, horticultural lifestyle in response to thinning animal herds and vegetation upon which they previously depended. When the climate again warmed, this horticultural adaptation blossomed into full-blown agriculture, which subsequently made larger settlements, cities, and eventual empires possible. But correlation is not causation. To our cause-and-effect psychology, it makes sense that a climate shift cause would precede an agricultural effect. This may or may not be accurate. Archaeology, geology, climatology and paleoanthropology can offer measurements from which we infer a storyline; but as science goes, that storyline is ever-changing as new measurements come to light, and these changes themselves also may or may not be factually accurate. With science, “facts” of history — especially prehistory — change rather frequently, and result in a permanent state of never-quite-sure. If only there was some record of what people living at the time of the Neolithic Revolution were actually thinking. The much-reviled political philosopher Leo Strauss pointed out that Western societies are descended from two parents, Athens and Jerusalem. In my quest for understanding this subject, I came to see that while Athenian science and logic can provide a what, they cannot provide the why. That why, for Western seekers anyway, lies in Jerusalem. Jerusalem’s contribution to the West is Judeo-Christian mythology, codified in the Bible. And to be clear: when I use the term “mythology,” I do not mean “fiction.” I mean a stable, apprehensible narrative by which an entire culture — or in this case, multiple very large cultures spanning thousands of years — can orient itself in the universe temporally, spatially, and spiritually. A myth’s power lies not in its objective “truth,” “accuracy,” or some such thing, but rather in its ability to reflect a shared psychology back to its collective adherents. In the West, our scientific “truths” still follow the same basic pattern of Judeo-Christian mythology and are subject to its cognitive structure. Psychology constructs myth, and myth constructs reality. Myth trumps measurement, regardless of whether or not anyone notices. Genesis is the first book in the Bible. It is comparable to other early Mesopotamian writings in that many aspects are paralleled in the texts of the Sumerians and Akkadians. Genesis, however, is a profoundly Jewish work and offers unique criticisms that, as far as I am aware, do not exist in contemporaneous literature. The literary content of Genesis spans a vast amount of time prior to the advent of writing. This content presumably has its roots in the oral traditions of those hunting-foraging forerunners of the ancient Hebrews. These traditions, as recorded in Genesis, begin in pre-literate, liminal-animist Paleolithic psychology, bridge the advent of supraliminal Neolithic psychology, and continue on in (sometimes violent) tension between the two. With the advent of writing, the traditional stories were written down, carefully guarded, and passed on through generations by ancient scribes (though the earliest known manuscripts date no earlier than 150 BCE), eventually becoming the foundation of the West’s most revered holy book. In fact, Genesis is more relevant to the West than almost anyone has noticed. Its ancient stories of the Garden of Eden, the Fall, and Cain and Abel trace the cognitive development of Western civilization more concisely and accurately than I would have thought possible. The trick is to approach the stories on their own terms; to set aside our own supraliminal psychology and unpack these stories into a liminal-animist headspace. The main concern of Genesis is the Fall and its consequences, and how these drove the birth of the ancient Hebrew culture. The creation account and life in the Garden of Eden are presented almost as backstory, but this backstory is where the fascination begins. Genesis 2:8 tells us casually, as if in passing, that “[T]he LORD God had planted a garden in the east, in Eden; and there he put the man he had formed.” The implication is that “the man” was originally located to the west: had he been located to the north, the garden would have been in the south; had he been to the east, the garden would have been in the west, and so forth. About 50,000–70,000 years ago, anatomically modern humans began a wave of migration out of Africa. Some crossed the Red Sea, greatly reduced in width due to increased glaciation, then continued migrating along the southern coasts of Asia, eventually landing on the Australian continent. Others crossed the Sinai Peninsula and settled in the Levant — the western portion of the inverted boomerang known as the “fertile crescent.” It is not much of a stretch to imagine that some of this population also traveled a few hundred miles due east to the Tigris-Euphrates river valley. One of the prevailing theories of language evolution is called monogenesis, meaning that all human languages trace their origins to a single common linguistic ancestor dubbed “Proto-Human.” No one knows for sure where languages come from, but if Proto-Human ever existed, it would have arisen sometime after the first known anatomically modern human, about 200,000 years ago, and could have survived until 50,000 years ago, when the emergence of complex language would have made it obsolete. Does Genesis actually record cultural memories of such great age? Can we really consider these things to be a kind of cognitive fossil? These are only two examples, but they offer synchronicity enough to give pause. More importantly, these two snippets provide a kind of primer for translating the ancient texts from liminal-animist to supraliminal. Certainly it is not literally true that God planted a garden in the east and placed man there. This understanding is based in the animist worldview of a universal spirit giving rise to all other spirits, i.e., the flora and fauna of a rich river valley, and all action, i.e., migration to an eastern garden. In the liminal-animist oral tradition of our cultural ancestors, this story is literarily accurate. In the same way, surely no God literally brought all the wild animals and the birds of the sky to a single man to be named. Rather, the development of complex language occurred in “that complex flux of collective sentient immediacy,” which included both the animals in question and, again, the universal spirit. Like the previous example, this one, too, is literarily accurate. This literary accuracy is the method by which pre-literate cultures preserve themselves. Their myths, legends and stories do not add up in the logical, cause-and-effect way Western minds are accustomed to. But this doesn’t mean they are inaccurate; it simply means we don’t understand their accuracy unless we try. The most pressing story in Genesis, its very raison d’être, is the Fall of Man. No other story has had as profound an effect on Western psychology as this; there is something wrong with us and we know it, and this is the only extant explanation of what the problem might be. But I’m convinced that no interpretation to date captures either the point of the story or its gravity. Whereas the Fall narrative is abstract and symbolic, it originated from what I strongly believe to have been real events that took place, possibly over the course of several generations, in the liminal-animist’s “complex flux.” The story is utterly nonsensical without that context. When the woman saw that the fruit of the tree was good for food and pleasing to the eye, and also desirable for gaining wisdom, she took some and ate it. She also gave some to her husband, who was with her, and he ate it. Then the eyes of both of them were opened, and they realized they were naked; so they sewed fig leaves together and made coverings for themselves. The LORD God made garments of skin for Adam and his wife and clothed them. And the LORD God said, “The man has now become like one of us, knowing good and evil. He must not be allowed to reach out his hand and take also from the tree of life and eat, and live forever.”  So the LORD God banished him from the Garden of Eden to work the ground from which he had been taken. After he drove the man out, he placed on the east side of the Garden of Eden cherubim and a flaming sword flashing back and forth to guard the way to the tree of life. The mythology here is quite mysterious until one considers that it is an account of the shift from liminal-animist to supraliminal cognition among our cultural forebears. And far from being an evolutionary step forward, our mythology tells us that it was an unmitigated disaster, a corruption so vile that God threw us out of the garden nixed our access to the Tree of Life — that is, continuity across time, or sustainability. The story also describes the exact nature of this transition. It was, first and foremost, a voluntary transgression against the only existing taboo in the garden. “The tree of the knowledge of good and evil” was, quite explicitly, a different cognitive-psychological way of knowing that was not to be brought into the “complex flux” of liminal awareness. Doing so would, and did, result in death (more on this in a moment). Curiously, the immediate aftermath of Adam and Eve’s transgression was, shall we say, something of an anticlimax. One might expect fire and brimstone to rain down from the heavens, but instead, they simply “realized they were naked; so they sewed fig leaves together and made coverings for themselves.” This hardly seems the stuff of eternal damnation. What gives? The Fall story opens with Adam and Eve standing shamelessly naked in the garden. They perceived no “others” from whom to hide their nakedness, for all are one in the “complex flux” that arises from the universal spirit. The very first effect of the Fall — that is, the shift from liminal to supraliminal consciousness — was the perception of “others” in the environment where there had previously been none. But even the change of perception from a world unified by one universal spirit into one separated into self/other is still not the same as knowledge of good and evil. Or is it? The tree of the knowledge of good and evil is surrounded by dualism from its first mention. Everything in the garden was allowed, except this tree, which was not-allowed. At the tree we discover the serpent, the first symbolic not-God. The serpent introduces the concept of not-true, which had evidently never before occurred to anyone — something Sorenson demonstrated in his field work among pre-conquest cultures. And upon eating the fruit of the tree, Adam and Eve suddenly perceive others, or not-selves, surrounding them in the garden. I propose that what was unleashed that day in the garden was, in effect, cognitive binary signal processing: the ontological 0 was born into the human psyche where previously only 1 had ever existed. Suddenly, everything perceivable now has an infinite number of not- counterparts. The horror paleolithic people must have experienced upon stumbling into such an awareness is difficult to fathom. Knowledge of good and evil, indeed. Once our cultural ancestors had information with which to contend, they had no choice but to start classifying and indexing everything, lest the universe remain illegible. Thus the archaeological record demonstrates a veritable explosion of symbols — everything from pictographs, to numbers, to gods and goddesses, abstract concepts like rulership, wealth, and servitude, and all the rest. Driving the deluge of information was the existential 0 threatening to annihilate anything anyone discovered or created that might be considered 1. The only defense against 0 was, and remains, more1 — the problem, however, is that just as 0 = not-1, so too 1 = not-0. Not– permeates everything; annihilation is not only inevitable, it is already done. The more 1 we think we create, the more annihilation we introduce into the complex flux that continues to exist outside our awareness. Westerners are obsessed with apocalypse for exactly this reason. The ancient myth of Genesis states very clearly that crossing the threshold from liminal to supraliminal would result in certain death — and this is no fiction, for we contend with death on countless levels, from our smallest spiritual micro lives to the largest physical macro ecosystems, every single day. Every step we take to stave off death for ourselves introduces it somewhere else, making our own continuance even less likely. Our 1s and 0s will not save us. I hold out hope that someone wise will discover a cognitive signal processing in which 1 annihilates 0, or perhaps subsumes it, but so far the glimmers of such that I’ve seen have fallen on infertile soil. I am open to any and all suggestions. I am reminded of two similar readings of the Genesis story, both of which I’ve mentioned in the past: Daniel Quinn’s Ishmael, and Philip Pullman’s Dark Materials trilogy. In all 3, there is a sort of moment of awakening based on a metaphoric ‘knowledge of good and evil’ transition from cognition to meta-cognition. Meta-cognition is thinking about thinking and requires supraliminal consciousness. Subliminal does not really require language, but language can play a part. Liminal requires language, but maintains a sort of symbol-symbolized distinction that relates cognition to reality. Supraliminality gets you to a free-for-all mode of cognition where abstractions and reifications can pile gleefully on top of each other and cause utter chaos. Metacognition can be, but is not always metaphysical (i.e. you can have falsifiability for precarious towers of reasoning). So here is another speculative Biblical angle: The Tower of Babel represents both the powers and dangers of metacognition. The “many languages” are not really languages perhaps, but the diverging paths of cognition (Borges’ “Garden of Forking Paths”) that is enabled by the ability to pile symbol upon symbol. The Tower of Babel physically might be like the game of Jenga (a game that originated in East Africa I believe). When you mix levels indiscriminately and pull out lower level blocks to make the tower go higher, you are doing the physical equivalent of creating category errors, cross-level confusions and circular rings of symbolization that never lead to ground reality. So the construct can rise higher (like civilization) but becomes more unstable in the process, and God/falsifiability have their revenge by eventually causing gravitational-entropic collapse. the ontological 0 was born into the human psyche where previously only 1 had ever existed. Though the occurrence of logic certainly involves a switchover from non-discreteness to discreteness, as is also required for any kind of symbolic communication through language or otherwise (since symbols are discrete objects) what’s the point of this mish-mash of the most obnoxious abrahamic mythology with pseudo-psychological jargon? Ah, be kind. There’s more than one set of categories with which you can think about complicated things. I definitely found ideas in Paula’s post that aren’t normally visible in the sort of AI type perspective people like you and I normally adopt towards such themes. It’s okay, I’m a lot harder to offend than that. The point is that Western mythology does, in fact, explain the seeds that the grew into the mode of thinking we use today. And just on a technical point: the mythology I’m looking at here is pre-Abraham by a long shot. In what possible sense is this true? One sense has been proposed by Jeremy Rifkin in “Time Wars,” in which he argues that the historicist model of Western science (science as progress) arises from the historicist structure of Judeo-Christian mythology (from Eden to Left Behind). He uses it to analyze for instance why Japan modernized early but China did not. His claim: Japan has a historicist sense of time whereas China (like India) has a cyclical, non-historicist model that leads to a fundamentally different view of science. But it’s a complex point, and perhaps Paula meant something else by it. That’s just how I read it. That is an extremely charitable interpretation, since it has a very different form than the claim quoted. This isn’t even the most egregious statement made. The idea that “pre-conquest” peoples had no capability for abstract representation is silly. Abstraction is more than just the existence of symbols – basic human capabilities like reasoning and talking about possible futures, creating complex tools, and basic communication (for example, talking about a person who isn’t present) all require abstract thinking, and were all in man’s repertoire of abilities well before 15,000 years ago. Venkat’s right, that’s what I meant. Whether it’s the rapture or the singularity, the basic mythos is the same. Abstraction is more than the existence of symbols, but in the archaeological record, symbols are what constitute evidence of such. Abstraction wasn’t entirely absent in pre-conquest consciousness, but it certainly never attained the level evidenced from the Neolithic onward. And no, I do not think things like reasoning and talking about possible futures and creating complex tools were present in any widespread way prior to the Neolithic, because there is so little evidence of these. If Sorenson’s work isn’t convincing enough, you can also check out the work of archaeologist Trevor Watkins, and Jacques Cauvin, whose books are probably available in your local library. Likewise, the origins of complex language are much further back than you date them – see the works of Tooby and Cosmides (in particular “Natural Language and Natural Selection”) for more on this. Essentially, our universal propensity for language and our rapid ability to learn it, and the existence of specialized language processing areas in the brain point to evolutionary origins for our ability at processing complex language (of which things like tense are a basic part of), which in turn suggest a much earlier origin than the 10,000 years you’re suggesting. If you’re going to make such claims about human evolutionary, cognitive, and linguistic development, it’s important to look at the most recent work in these areas and not simply the claims of a small number of archaeologists or anthropologists, in particular when those claims are contradicted by well-established facts. I can’t post replies in their proper order so hopefully this won’t get too confusing. Brian — if by “complex tool use” you mean things like stone knives, then yes of course these date back much further than 10,000 years. I’m not disputing that. These tools are nowhere near as complex as things that came about after the Neolithic, which include things like the scythe, the wheel, the plow, etc. Paleolithic cave paintings likewise exist, but they don’t contain the kind of abstract symbolism evidenced after the Neolithic. Yes, symbolism is there, but it is quite obviously borne of a very different mindset than Neolithic art, as well as being practically nonexistent in quantity. I never suggested that complex language came about circa 10,000 BCE. I’m not sure where you’re getting this — I stated that “proto-human” language, if it ever existed, would have been around from around 200,000 years ago until, at latest, 50,000 years ago. It seems to me that your objection here is not to these details, but to the notion that there might have been some kind of cognitive shift among the West’s cultural ancestors. I don’t understand why this would be anything more than a novel curiosity to you (or anyone). Why is it upsetting? Then the significant difference is historicism not animism, AFAIK Japan is pretty much animist. Kevembuangga — historicism is the difference between what? Venkat — I can’t speak to Japan, as I have almost zero knowledge of Japanese culture or history. It’s an interesting question for sure. historicism is the difference between what? Between having or not a “progressive” mythos. You can certainly look at it that way, but as you pointed out, its kind of redundant. For me, historicism doesn’t really capture the essence of the “break” — I would consider it a “post-break” concept. My objection is simple: you categorically state that until very recently humans lacked the ability for abstract thinking, existing instead in a “liminal consciousness ” focused on the here and now. My point is that this is simply untrue, that activities requiring abstract thinking long predate this period and exist nearly universally in humans (as opposed to not being widespread). My point about complex language is directly related to this – abstract reasoning (talking about a persons mental state, talking about someone who isn’t present, talking about “wants” and “desires”, talking about the past and future) is a fundamental aspect of complex language, and not something that showed up relatively recently (in the last 10,000 years). My point about tool use is similar – regardless if more complex tools came later, the making of stone axes, fishhooks, trapping pits and the like require abstract thinking. I have no qualms about a cognitive shift in western culture taking place, but the specific shift you’re positing is simply contradicted by basic facts. My objection is simple: you categorically state that until very recently humans lacked the ability for abstract thinking, existing instead in a “liminal consciousness ” focused on the here and now. Oh okay, I see now. I should have made this more clear in the essay. The humans I’m focused on lived in a certain time, in a certain place, and were small in number — perhaps just 1,000 or even fewer. Their experience was a cognitive shift from liminality to abstraction that, by accident of history, ballooned into the earliest Mesopotamian civilizations, and their memes carried forward in time to stimulate later Western empires, including current ones. Their experience and the spread of their particular civilization meme got recorded and, by further historical accident, grew into the legends that became Western mythology. Other civilizations and cultures most certainly didn’t follow this track. If I implied that they did it’s because I was being unclear. Western mythology isn’t universal and it isn’t any more or less special than any other mythology. It just happens to be ours (if we hail from a Western nation) and is significant to us for that reason. It has come to be important globally to the extent that Western values and thought patterns have overrun almost all other cultures; a precarious development to be sure, given that the West’s mythology is inherently self-destructive. I think it is our (again, if we identify as “Western”) responsibility to understand ourselves, considering the danger we pose to everybody else. This essay scratches the surface of my efforts toward that end. God forbid we be too charitable in our readings! And seriously, we’re going to complain that someone used the word ontological, born and psyche in the same sentence? I too just as meaning that science is progressive and (sometimes) mesianic. John Gray talked about this in Straw Dogs, and I’m not sure if it would have occured to me had I not read it. On first glance I have to agree with Brian Potter though. It’s extremely hard for me to understand these categories of consciousness and how they could be starkly divided. Did they have a concept of more and less? Is that abstraction? Is it a binary? I should probably take the time to read the Sorenson. This was a fun read for me though. The cave paintings in Lascaux were circa 15,000 BC, right? On the cusp of the Neolithic revolution. They certainly seem visceral, animistic and liminal. But they kinda dance on the edge of abstraction. I thought the Chinese didn’t have a cyclical view of history; in confucianism at least, there is the sense of a decline caused by the breakdown of perfect language. This is explicitly linked to the pattern of successive kingdoms, which sounds pretty historical to me! In my limited anthropology knowledge, what they did have traditionally that contrasted with a “progress” mentality is a very strong sense of imperminance, but the Japanese have that too. You might be interested in reading David Velleman’s criticism of Augustine’s sermons, “The Genesis of Shame.” Excellent paper. It’s a very thorough examination of the concept of shame, about how and why it came about as a result of the Fall. I don’t want to sound like a jerk, but this reads like a lot of psychology, philosophy, anthropology, and religion blended up and thrown against a wall. This would benefit from less “I totally dig postmodernism” language and more explicit logic and reasoning. > This unabashed open honesty is the foundation on which their highly honed integrative empathy and rapport become possible. When that openness gives way, empathy and rapport shrivel. Where deceit becomes a common practice, they disintegrate. Thanks for this, it’s a very interesting perspective. Like another commentator I was reminded of Julian Jaynes’ work. This also brings to mind Nietzsche’s theories about the pre-socratics, the ‘Dionesians’, and I think you could draw some great references from his descriptions of the Greek chorus. Of course, pure reason dominates our near history (as seen in comments here too) at least until it burns itself out. Thanks for the essay. I’m happy that you are taking a serious look at the kind of shift in consciousness that seems to have made Western Civ and all its baggage possible. I have a few points of disagreement, which don’t diminish for me the value of your core thesis. For instance, I don’t believe that a liminal consciousness would prevent deception, or a sense of otherness; surely there was trickery and inter-tribal conflict before the neolithic revolution. I think you might be able to make a case though, that these were fringe effects and not the mainstays of social order before the neolithic. I do like your reading of Genesis for the echos of the old stories. I would recommend you look at R. Crumb’s illustrated Genesis. There is something about having the story in comic format that makes the words’ meanings more obvious. What I saw was a lot of effort by the writers of Genesis to discredit the pre-Hebrew beliefs, and what sounded like a prolonged lawsuit to establish claim to real estate. Not to mention just plain odd stuff like touching the inner thigh to seal a vow. >There is something about having the story in comic format that makes the words’ meanings more obvious. A cognitive linguist might say that image schema are activated more prominently and explicitly. These schema are a major part of the reasoning behind the text, but are more-directly accessible when the story is told in person or via sequential images. Could you elaborate a little bit more on what you’re holding out hope for here? I’m not sure I understand, but it sounds like you’re hoping for a logical solution to the problems caused by logic? I don’t think she can, the remedy to the “evilness” of logic is not confusion. You’re right, I can’t. I don’t have the answers. The best I can suggest is that formal logic will need to adapt to new environmental conditions. But whatever the “answer” is, no one can unring the bell — logic is here to stay and whatever comes next will have to make sense. Hold on. I’m not sure confusion is the same as spirituality. What ‘old trick’ are you talking about, and where does it lead exactly? My inclination was just to point out that, whether there is a “fertile” (or non-annihilating) way to counter supraliminal consciousness or not, its seems that hoping for such a way and such an outcome would just be another extension of the apocalyptic narrative which I thought we were trying to get to the bottom of (and maybe get out from under). I’m not sure confusion is the same as spirituality. Give me some “spiritual” statement and prove that it cannot be the outcome of plain confusion, i.e. that it can be grounded in some consistent model of reality. See my comment about logic and truth. There is no one and only right world view. LOL, though I do share this opinion I don’t think that anyone can prove that it’s not just confusion/sloppiness . If this were possible that would be a tremendous argument against fanaticisms of all sorts. The main takeaway from Popper is usually the idea of falsifiability as the least-common-denominator for truth-reality reference, but the book tried to do a lot more. The best I can suggest is that formal logic will need to adapt to new environmental conditions. No, logic is NOT the culprit therefore no “solution” will be found by adapt[ing] to new environmental conditions. For any logic to make sense the meanings of the symbols used to encode the “logical discourse” must have been previously defined, therefore these definitions cannot be subject to the same logic as the discourse (since they antedate the whole discourse), the catch is that if you try to use any kind of logic in the definitions (the ontological commitments) you are faced with the same situation, it’s an infinite regress. Ergo the very basis any logical discourse cannot be logically defined or even scrutinized, there is an irremediable arbitrariness in any world view or model of reality. Some world views may not suit you but do not blame logic. I know where this faulty perspective comes from: the deceptive usage of the word “truth” by religionists and mystics of all breeds and stripes to mean evidence! Truth is an analytical property of symbolic discourse NOT a property of the world or reality. @Kevembuangga — you’re totally cool, do you know that? :) Your objections help me understand things better. It’s interesting to me that your visualization of the logic process starts from bottom and proceeds to the top, as if along a Y axis. My visualization starts from the left and proceeds to the right, as if along an X axis. Puts me in mind of “parabola,” and “parable.” For whatever that may or may not be worth. Is there a way, logically, to turn th einfinite regress into an infinite progress? If not, what would constitute infinite progress? what would constitute infinite progress? Don’t you feel that you are falling for the same kind of hubris that you seem to denounce? No, it’s a valid question. If logic is ultimately turtles all the way down, how does one flip that process and what does it look like upside-down? This is the thing I hold out hope that someone will figure out. A mode of thinking that doesn’t dissolve into nothingness. If logic is ultimately turtles all the way down, how does one flip that process and what does it look like upside-down? It’s “turtles all the way down” because you insist on using logic to pick your world view. It means you expect to find the “one and only right world view” (since logic, if it worked this way, would indeed give you only one solution). This is the road to dogma and fanaticism. Don’t do that, nobody should do that, logic is only a tool to knit up your world out of the gist of your dreams. You think so? Actually, I think you are the one being dogmatic here. I’m trying to make sense of a difficult problem and freely admit I do not have the answers. You, however, are insistent that you do have the answers. It seems to me that the thing sticking in your craw is the suggestion that Western science/logic might not be the end-all, be-all of human evolution. That perhaps our current state is not the highest, most revered state any sentient being can ever attain. You are certainly welcome to live by this assumption if you like, but I cannot. It seems to me that the thing sticking in your craw is the suggestion that Western science/logic might not be the end-all, be-all of human evolution. Do you mean that you think that the “Western science/logic IS be the end-all, be-all of human evolution”? I am only saying that logic per se and “in isolation” is unassailable but does not entail or preclude any specific world view. While you can’t logically deduce the base axioms required to arrive at a set of propositions, you can abduct some possible candidates. But I think the answer you’re really looking for here lies *outside* logic. Logic is not nearly as limiting as its critics seem to believe – it doesn’t specify a set of beliefs, ideas, or abstractions which you must have (beyond the idea of truth itself), it merely warns you when the conceptual Jenga you’ve built is unable to support its own weight. The problems inherent in holding abstract beliefs which isolate yourself spiritually are not caused by logic, since they lie outside it. I don’t think it’s the idea of truth that is the cause here, it’s the well-known sin of pride, which arises from the birth of social self-knowledge, not abstract knowledge. Case in point: the desire to clothe oneself is intimately linked to this separation, but looking at the wardrobe concerns of the average math-geek shows that by that metric, if anything they’re *closer* to the original state of unity. Entropy virtually guarantees that we’re going to kick the bucket. Our towers of zeroes and ones can help us change this from 80 years or so to whatever the physical limit is, which i’m sure is pretty large. I think the trade-off is worth it. If I were an animal and not at all aware of death, that is one mode of being. The other is the human mode of being. Humanity from civilization begining to whenever we conquer aging, is bad indeed – being aware of death and not being able to do anything about it. But after the conquest of aging, that’s another game altogether. If I were an animal and not at all aware of death, that is one mode of being. This is the mode of “civilization” as an autonomous entity, thus it cannot plan against its own collapse. And civilization is very likely to collapse before the “conquest of aging”, financial melt down, peak oil, sixth extinction, Japanese nuclear disaster nudging the whole house of cards. Here in the United States, it bears repeating, we use three times as much energy per capita as people in most European countries, to prop up a standard of living that by most measures isn’t as good. Interesting post, some very evocative phrases. I tend to agree with Brian’s points though. 1. Complex language has too much hardware required to be a recent development. 2. Evolution isn’t going to propel hideously complicated things like Broca’s and Wernicke’s area and so on forward without powerful and continuous selection pressure. It’s very hard to imagine recursive grammar being assiduously nurtured without it being deployed for complex abstract thinking and planning leading to increased survival. What, otherwise, was the immediate (not eventual, evolution has no foresight) payoff of anything more than here-and-now “Snake! Fruit! Female! Buggeroff!”? That ability is possessed even by some monkeys. 3. Ergo, the liminal->supraliminal transition must have happened in lockstep with language development, way before the Neolithic. This is not incompatible with the idea that there was a cultural revolution in the Neolithic. You can sit around for centuries without doing much, even though you have all the hardware needed to make a cultural leap. Even the simplest of inventions happen rarely and then spread like wildfire. For instance: the wheel was never invented in America, though the Americans were certainly smart enough to have invented it. V S Ramachandran’s latest book, “The Tell-Tale Brain”, has some very interesting thoughts on the evolutionary development of the modern human, especially his ideas of synthesthetic bootstrapping of language and complex tool use. I like the interpretation of Genesis, but the transition would not be abrupt – it would have happened so gradually that there wouldn’t have been enough racial memory to tie the before and after pictures together. I suggest something even more fanciful: a bunch of clothed neo-farmers happened to come across a bunch of naked ape cousins with small heads, no complex language, who were still in the liminal stage. They made an intuitive leap that they were related, and envious of the apparent ignorance-is-bliss state of their naked cousins, began to draw comparisons. The cousins had no childbirth issues, no knowledge of “good and evil”, no worries, and *that* might have spun a tale of a Fall which was passed down until it became the Genesis. There’s another interesting possibility if you consider the ontogeny-recapitulates-phylogeny applied to theory-of-mind development in children. Children aged about 3 have complex language, but assume a “shared global state”, unable to appreciate that other people can have different models of the world, which may be different from their own and different from reality. They start succeeding at the so-called “False belief task” only at about 4-5. It is therefore possible that the abstract thinking abilities necessarily engendered by language development stopped short of a full-blown theory-of-mind. And it is this final step, including among other things the ability to deceive and detect deception, which led to the rise (or Fall, if you will) of man. Ergo, the liminal->supraliminal transition must have happened in lockstep with language development, way before the Neolithic. How then to explain the many documented tribes that possess complex language, in some cases much more complex than English, who never reached their own Neolithic revolutions? Sorenson’s paper documents the “fall” of a whole tribal culture that he witnessed, which took place over the course of three days. An abrupt transition is quite possible. That’s actually not too far from something I’ve also thought about but didn’t include in this essay mainly because the darn thing is already 4500 words long. Take your suggestion, and flip it around: imagine the naked apes viewing the clothed neo-farmers and deciding they were “fallen.” Genesis mythology is written in the 3rd person, from an outsider’s point of view — except in this case, the outsiders were the precursors to the ancient Hebrews, and they were “barbarians” in the exact sense Venkat described in his last post. First – why do branches of the evolutionary tree change at different rates? Why did one bunch of coelacanths crawl out on land, while others remained as they were for hundreds of millions of years? Why do we have apes and humans, hippos and dolphins? Those who needed to change did, or died trying. Those who got comfy in a stable environment, remained stable. There is no reason that complex language and supraliminal thinking *must* propel its adherents down the Neolithic path. This is similar to Yali’s question, in the beginning of Jared Diamond’s excellent “Guns, Germs and Steel”: “Why is it that you white people made so much cargo and brought it to New Guinea, but we black people had little cargo of our own?” GG&S is a book length answer to that question. Second: This complex language we’re talking about, possessed by pre-cog-shift tribes – as you say, they’re often even more complex than “civilized” languages. Tense, first-second-third person, genders and insanely complicated verb/adjective/adverb mutations. (I believe Hopi is no longer seen as a tenseless language. There’s still Piraha, of course) Why did they exist? By your hypothesis, living in the here-and-now liminal, with no abstract thought, no discrimination of “otherness”, why did they have such hardware-supported languages with complex temporal and other-personly features? I haven’t read Sorenson, so I cannot offer any comment on the 3-day phase change. But there is a whole spectrum of abstractness and now-versus-future worldviews possible. I would say that the transition from hunter/forager to civilized human is a gradual change in the mix of thought from concrete and immediate towards greater abstraction and planning. A series of small Falls, not just one big one. Foragers might do most of their thinking in a here-and-now mode, without it necessarily implying that they lacked supraliminal abilities. 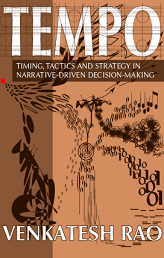 The requirement of navigating a complex social landscape, with kin relationships, debts and favours, easily call for a lot of temporal/abstract reasoning and memory. Herders (nomadic or not) require a little more by way of abstract thinking, as they have to count animals, predict size of herds and deal with a larger group of humans. The worldview is still very different from the settled agricultural mindset, though it is much more like it than the pure hunter/forager. Elspeth Huxley’s “Red Strangers”, an account of the Kikuyu across three generations straddling the colonial transition, tries to get you as close as possible to the mindset of the semi-nomadic herder/slash-and-burn agricultural society. The Athi, forest-dwelling hunter/foragers stay mostly in the background, regarded by the Kikuyu with a mixture of fear and loathing. Game meat is tabu for the Kikuyu. Slowly but surely, the Kikuyu “fall”, discovering cities where they cannot where they cannot even find members of their age-cohort and claim a traveller’s right to hospitality without parting with “shillings”. Take it further: assume that like the Kikuyu, these naked apes were forcibly assimilated by the neo-farmers, and the Fall is basically a lament for a lost age. Paula – great piece, very interesting. Kind of a dodgy airport book, but it reads Genesis in a similar way and also runs through a number of other mythologies from a similar angle. Harvard professor starts to wonder about cognitive archeology. There’s a book I haven’t read about cooking by a colleague of his, Wrangham that looks to touch on important stuff. Interesting book that moots the possibility of another step-change in the cognitive archaeology of the world. Hi Indy, I’m familiar with all the books you’ve listed here but have not sat down and read any of them. I will definitely add them to my list — lots of great reading suggestions here, many thanks to you and everyone else! Hi Paula, that was brilliant! You’ve tied together a whole lot of things that I’ve dwelled on in the past but never seen bought together this well. What I like about it too is that the discussion works from a big picture point of view when looking at the origins of our culture but it can also be turned around and applied at the deeply personal level – by which I mean that getting lost in abstract minutae is not the route to personal happiness. Or maybe thats just what I got from it – for me though it does tie into philosophies that encourage us to quiet the chatter in our head and to just ‘rest’ in the moment. Interestingly I would observe that this is something that most of your critics (in this comments list) seem to have completely missed, lost as they appear to be in minutae of whether you’ve followed the correct rules of academia they’re too busy trying to stifle your non-regulation thinking to even notice the big picture of what you’re discussing. No doubt I will incur a lot of wrath and disdain for that last paragraph but I was very interested in the connections you’ve made and the discussions that might follow from there and was dissapointed to instead find a comments section that was full of nitpicking academic comments. I wanted to see a discussion of the trees but everyone is talking about the wood. The net effect of this sort of thing is to stifle creative thought and I hope it’s not too much of a distraction. My main question though is whether you have written more on this subject elsewhere? Excellent article, Paula! It perfectly melds with how I’ve come to view what is “wrong” with modern thinking. Being a very open-minded person, attuned to nature as well as the human condition, having read Ishmael and parts of Spell of the Sensuous and many other works related to this discussion, the ideas in your article seem to be a breakthrough in our understanding of ourselves and our history, and clues as to how we might emerge from the box of thought patterns which cause us to value death over life. Like Aaron, I was immediately struck by the inability, or unwillingness, of the commenters to grasp or appreciate these ideas as a whole, and who instead nitpicked in the extremely intellectually narrow manner of the academic mindset (ironically, providing examples of the very thing Paula was writing about!). Aaron, don’t apologize for your 2nd paragraph, it was quite accurate; it certainly reflected exactly my feelings upon reading these comments! @Aaron & William — Thanks so much for the positive feedback, I really do appreciate it. This is only my second attempt to pursue these ideas in a public forum because I do typically get a raft of negative responses whenever I try to explain myself. I’ve generally just kept it to myself for the past however many years. I’m happy — very happy! — to discover that there are at least a few souls out there who can relate. The nitpicking doesn’t actually bother me so much. It can be very useful for honing my own thoughts (Kevembuangga has brought up some excellent points), plus it means that people are engaging with my ideas. If my thoughts were just straight up loony or dim no one would bother. Hi Paula, I’ll keep an eye on your blog. Have you been to ranprieur.com? A few years ago there were a group of us writing blogs that kind of orbited around Ran’s blog , basically dwelling on issues of civilisation. Most of us have slowed up or just plain stopped now but Ran is still going (in fact it was his link to this post that bought me here). Maybe you were reading at the time but if not I imagine you would have enjoyed it because most people were interested in the big picture of where you were going. Care to elaborate on that idea of how this big-picture view of history turns into a personal mode of introspection? I didn’t follow the train of thought. 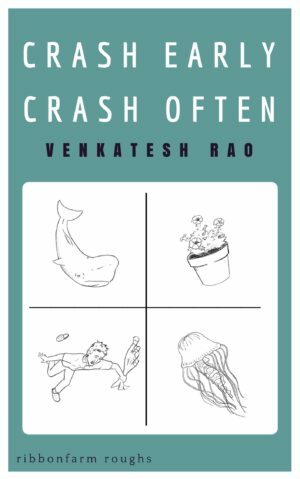 Hi Venkat – it’s no so much a mode of introspection as a stilling of the thoughts that constanly run through our brains (a lack of introspection you could say). We’re talking about two psychological states (basically primitive or civilised) at a cultural level but obviously they can be discussed at an individual level too – so I see a very direct link between the liminal mode of thought (as described by the likes of Sorensen) and philosophies that encourage us to ‘live in the now’ (of which Eckhart Tolle is the latest proponent in a long line that passes back through Buddha and beyond). Very simply the idea is to not to dwell on the past or worry about the future but to just exist in the moment. To me that sounds like instructions for getting a civilised mind into something approximating a liminal state of mind – the purpose of which is to enable the individual to be more at peace. This seems to be better for our mental health than the opposite which is obsessing about our problems. I’ve just tried to summarise several books into a few sentences there so I hope it comes over alright. There are other ways that this general discussion/field can be applied to our lives too – perhaps the the best example is Jean Lliedloff’s book The Continuum Concept (for the uninitiated – it’s basically a parenting guide derived from the author’s time spent with the Yequanna tribe in South America), which I’ve found to be mind blowingly useful with raising my family. I think the birth of civilization has to do with the Master slave dialectic which I think involves Narcissism on the part of the conquerors. Interestingly hunter gatherers, have been shown, I think I got this from a researcher by the name of Hare who composed the “Hare Cleckly ” checklist for diagnosing psychpaths, anyway his research shows that hunter gatherer tribes will banish psychopaths (people who showed behavioral traits that we moderns would diagnose as sociopathic/psychopathic/antisocial) from the group. So where would they be banished to? Wastelands, which before the domestication of the horse that is what the steppes were, wastelands. All the fertile areas of Eurasia are connected to this vast wasteland. This may have been a dumping ground for misfits for millenia. A Narcissist or sociopath, is extremely ego-centric. (rugged individualists) In a barbarian culture of such people, these types would more or less cancel each other out and keep the violent and barbaric culture at a low level of complexity. Everyone in such a milieu always goes about heavily armed, is skilled in fighting from childhood. They are always fighting amongst themselves, but not much is gained from it because they posses little wealth beyond cows and sheep. Its when these Barbarians encounter gentle people that we get civilization. People chose to be slaves, for whatever reason. They could fight and be killed, but they decide to go along to get along. Pre-conquest culture people have very little ego. Psychopaths are ego centric to the extreme, so they manipulate, slaves as objects as a project of self aggrandizement. These Egocentric conquerors like Genghis Khan become like a nucleus and organize society around them. Ego centric people are all in competition exerting more or less equal pressure against one another. Its when you get egomaniacs being worshipped as gods by people of weak ego development that you get problems. Especially if these weak egoed people are intelligent and talented. That is what Ghengis Khan did when he conquered. He gathered all the smart people together and put them to work for him. People need to get tougher and stop giving their power away. We can’t all just go back to the garden of Eden and sing kumbaya. It not the psychopaths that are too blame its the weak everyday person. We all need to be more barbaric. Many “rugged individualists” are so not because they only care about themselves and their own, but are too sensitive to the overall sociopathic culture as a whole, cannot bring themselves to fully participate in (and therefore tacitly support) that culture, and so wish to live apart in a low-impact way that supports and enhances life. By the way, in addition to my first comment, just wanted to say I agree with pretty much all you said above. I know my last comment was already long winded enough but I just wanted to add that the binary thinking I think, goes along with an egocentric mindset of a barbarian conqueror. Its then adopted by less egocentric people. The pre conquest people had empathy, and decided things by consensus, its not so much that they decided to think a different way, its just that they were influenced by this type of mindset. Even now, average people, acting as a “wage slave” or even as a professional, might not feel right about some action they feel forced to take, but they feel they have to because “its their job” it just illustrates the power relationship they are in thrall too. People even write from a materialistic perspective even if they have a more spiritual or empathic orientation. So you have the will or mind of the conquer reverberating through time. We all have little conquerors inside us. It is our ego. Some of us just have more empathy coming in through the cracks. Stone cold psychopaths I think are naturally materialists. Stone cold psychopaths I think are naturally materialists. Do not disparage materialists by such an association, I don’t think Rasputin or Jim Jones were materialists. It might be interesting to explore how deeply this notion itself rooted in the garden of Eden myth. Earth is the sacred Eden which humans have defiled. There are several things to consider here. First of all, natural catastrophes have periodically wrecked the planet far more effectively than human civilization has done thus far. Second of all, some form of natural catastrophe (asteroid, supernova, supervolcano) will eventually wipe the planet out again. If human civilization is allowed a geological blink of an eye to create something that will outlive the our biosphere, than it is probably worth it (taking the perspective of a comsological sociopath) to burn every resource available on the planet to make that happen. Please notice that no one condescended yet to reply on the matter proper. Very interesting piece – even though it DOES seem to wander off into spiritual make-believe sometimes rather than a sober analysis (which would probably be an example of “evil logic” anyway, I know). The end struck me as very interesting – your call for someone to “discover” a new logic is an interesting twist on what cognitive sciences have been proclaiming for some decades now. Binary logic was not an invention of the Euphrat & Tigris age, and if a growing camp of scientists isn’t totally mistaken, it is not a basic mechanism of our mental computation in the first place. George Lakoff and Roald Langacker are two acclaimed linguists that argue against the binary picture of the human mind, claiming that it was re-imported as a metaphor from computer science. Our brain does not do abstract symbolic serial processing with a central controller unit as in a computer, and what we know about actual every-day human logic doesn’t look much like it, either. Our mental theories about the world tend to be inconsistent, makeshift, have blind spots and can be changed instantenously if need be. So in a way your “new logic” is already there (and always has been). The Western-computer-mind is a misleading story that we keep telling ourselves about our minds – and maybe it is time to switch metaphors. I like Paula’s article, though it’s difficult to draw conclusions from, considering how we want concrete positions/answers when the subject matter is more akin to flow. I can also understand why some of the comments are so vehement: it messes with our core identity as logical beings. The observation that it’s flatly impossible to enter an animist mindset is on point. Of the theories and attempted histories of the emergence of modern (Western) consciousness I have read, the usual starting point is Classical Greece. Of course, that worldview coalesced out of yet earlier forms of thought and were refined later, specifically during the Enlightenment and the Scientific Revolution, to create our current perceptual style based on instrumental reality. Julian Jaynes drives at this, as does Morris Berman in his consciousness trilogy. Looking at the historical record and saying that our cognitive history is right there if only we learn how to read it is pretty exciting stuff, not pomo nonsense as some commentators insist. It might help us to understand ourselves better, even if only provisionally, but modern man is so impatiently bent on practical application that the repose necessary to truly sense something before or beyond is foreclosed. I enjoyed this Paula, and I think I agree with the basic thought, though I’m not sure I’d take it in the exact direction you do. I became convinced that there was something deep in The Origin of Consciousness in the Breakdown of the Bicameral mind by Julian Jaynes and was motivated by that book to look deeper into the idea that we in a sense ‘grew into’ self-awareness in the last 10-15,000 years even though, as you note, the architecture of our brain hasn’t changed in much, much longer than that. In the end I was more satisfied by the discussion by the discussion in R.B. Onians’ The Origins of European Thought and to a lesser extent in From Religion to Philosophy by F.M. Cornford, Eric Havelock’s Preface to Plato. I’m convinced you can see this in the development of psychology and of theories of emotion from Homer to Plato. And the idea has plenty of appeal in philosophy of mind – despite what some arm chair critics might think, not being able to explain to yourself the ‘benefit’ of this development while sitting at your desk doesn’t mean there wasn’t such a development or any benefit to it. I’ll be keeping an eye on your blog space! Perhaps we could discuss the topic further. Hm. Forgive me if I sound like a dirty hippie, but have you looked into Taoism? It can be read as a spiritual system, but another way of looking at it is as a transcription of ancient oral traditions by Lao Tsu, rather than an original work by him. Read this way, it could be the discipline of maintaining access to pre-conquest consciousness and applying it where appropriate, while also being able to apply more modern modes of thought when the need arises. The terms used to describe it are not the things they describe. The act of description is merely a listing of its parts. With intentionality, you can comprehend its effects. Does this point the way to what you were asking about? If so, you might be interested in the context of what I quoted above: a blog post called Overcoming Systems Stupidity. Forgive me if I sound like a dirty hippie, but have you looked into Taoism? I own 5 different translations of the Tao Te King and I would recommend the one by Duyvendak but there are plenty to choose from. I don’t agree with him when he talks about sunshine being low-quality in the thermodynamic sense (you can weld with it, for Pete’s sake), but he’s an interesting read, in general. I picked that translation, not because it’s the best, but because it seems to bear most directly on this conversation. His is only of the first chapter; a complete one, from a perspective that might have some bearing here, is the one by Carol Deppe: she, similarly, is concerned with the robustness of systems. I will have a look at Carol Deppe book, though I am pretty suspicious of the “ancients wisdom” when it comes to the robustness of systems, they totally missed out on the concept of entropy and even more so on requisite variety (Ashby/Pask). Cursory review of Carol Deppe book: silly, not worth the trouble. I don’t know Chinese, ancient or otherwise. Only hijacking the name to push her own mumbo-jumbo, making 4 variants she/he x master/sage sounds especially grotesque and unrelated to the purported content. I found that description of animist thought strange; surely fuzzy logic can handle indistinct and mixed objects? Surely potential and forward planning can be represented in a present tense view, just as we say something has potential energy, rather than some statement about future reversals of an action? Surely talking about dealing with spirits, despite their possibly undefined quantity and identities, still means creating definitions and patterns of determination similar to dealing with a person, resulting in a more ubiquitous sense of self-other, not less? I don’t see why filling the world with life and considering everything as part of interpenetrating wilful perceiving systems precludes logic and metacognition. It seems like attempts to describe various phenomena in human terms will naturally reflect back on yourself; if you fill your whole perceptual field with descriptive terms that also apply to yourself, it would require a pretty industrious form of hypocrisy to avoid self analysis at some point! Particularly during the increased amounts of free time the hunter gatherers supposedly had at certain times of year. I might be wrong, but my impression was that animists were full of categorisations and characterisations, and far from continuing without planning, instead they constantly managed their relationships with these various characters, trying to work out what might offend various spirits, and so negotiating their survival constraints. Although that translation may be a bit of a murmalising of the original, I can’t tell as they are all radically different! Makes it tricky to use as any kind of evidence, but still amusing to read. I don’t agree that human civilization is a “devouring, predatory virus” — that’s hyperbole. Plenty of animal systems overshoot their resource bases, and if they had our technology, they’d do as much damage. We’ll probably never have the opportunity to do this much damage again. All the stuff about liminal and animistic consciousness is simply trying to ‘know better than spirituality’, a reflex which has some legs left I guess. Man, putting spirits and gods in the same category as letters and numbers and then pretending you’ve “solved evil” by junking all that stuff and getting back to pristine nature, where no-one deceives anyone… surely this is pure romanticism? If you ever do get a hint of what spirituality is about, the shoe will be on the other foot and no mistake. Try Jordan Paper on the nature of polytheism. See what he thinks of the word ‘animism’. Or take a look at David Hufford on the cognitive nature of spiritual experience. The abstract “symboling” of letters has nothing to do with the presence of spiritual entities. The underlying thinking here seems to be to be a) One more attempt to make a Judeo-Christian “answer to the sin of the world”, let’s give that a rest; and b) One more attempt to cleverly out-do spiritual experientialism by scholarship. Personally I’d look at the modern mind more as beginning with what Spengler calls the ‘Faustian’, around 1000 CE. But people always want the simple story, the Fall story. I’m glad John Michael Greer was mentioned — his Catabolic Collapse theory does far more to explain civilization’s collapse habit IMO. Not only that, he is a great example of how to be polytheistic and ultra-rational at the same time. However I think Hay is in good company, as Jeremy Griffith of A Species in Denial fame has been saying similar things for many years. I remain unconvinced, Jason, that you can dismiss Paula’s interpretation and say that the truth lies not there but here, in spirituality, which you leave poorly described. It’s unclear, for example, whether you think polytheism is valid. Lastly, many believe they know man’s destiny, typically either rejoining nature or transcending it in some imaginary machine consciousness. As with any flow of history, plotting the course is largely heedless, akin to dancing on the head of a pin. I remain unconvinced, Jason, that you can dismiss Paula’s interpretation and say that the truth lies not there but here, in spirituality, which you leave poorly described. Well that’s probably because I didn’t describe it. I did however give some links… suggest the Hufford one if you want to get some idea since it’s a complete paper and free. You’ll enjoy it I’m sure. It’s unclear, for example, whether you think polytheism is valid. “Valid” (?) or not, evidentially speaking it is the first form of spirituality past shamanism, when technology enables the settled group and the ancestor relationship etc. From that point, different forms go in wildly differing directions. Personally I believe multiple deities literally exist but my points aren’t based on that idea and don’t require you to agree with it, even if that counts as ‘polytheism’ to you. Sure, other forms of life would also commit to a trajectory of parasitic omnicide. The point, though, is that we have actually done it, since we managed to overcome impediments limiting other species. I think that’s the exact opposite of the truth. Our civilization is being curtailed now because we’ve gone way past our limits and are being brought smartly to heel. The fact that we are being brought to heel means we haven’t in any way “overcome the limits” of other species, which is why we’re in a slow collapse back down to within the limits of ours. Nor have we ‘committed omnicide’, nor am I saying that other species ‘commit omnicide’ — I repeat, we have overshot our resource base, that’s all. … even if it is one time only. (I have no idea what that observation was meant to signify. It’s meant to signify the enormous importance of energy in the equation — energy and resources. We have been through multiple civilizational cycles, but none with our current levels of energy availability. Can’t leave that out of account. It’s technology and energy availability that makes societal complexity, makes human survival dependent on the symbolic mind, etc. So technology, and our use of it to capture energy, is absolutely linked to what Hay is talking about. One can say technology makes mindset at least as much as the other way round. And the truth is that never again, in all likelihood, will we have this level of energy and technology to play with. Thus our teeth are pulled in terms of the amount of harm that can be done by our future shortsightedness. Another link I gave was Greer’s essay on Catabolic Collapse. It shows very clearly what causes collapse in terms of energy. It’s also a very astute working-out of the nature of civilizational collapse. The course ahead can certainly be plotted, given evidence from present and past, in terms of energy and complexity. That’s what science does — models. It’s scientific models that have enabled us to understand so much of our mistakes, as well as commit them, don’t forget. It’s scientific models that gave us our best shot at avoiding steeper declines we’re now in for. Example: Garrett‘s plot of energy and economic output shows a constant relationship. More energy in, more production out. And we know that increased energy always causes increased complexity in human culture. Since energy levels are now in decline, though, complexity levels are in decline too. So our culture must collapse. We can also show that this has happened before and estimate the speed of decline — a century or two. Not super-accurate, but a lot better than nothing. And certainly better than ‘rejoining nature’ which is meaningless, or the singularity which is energetically impossible. Jason, I see from your comments and your own blog that you have given considerable thought to spirituality and consciousness and have some substantial links to fortify your ideas. And yet you and I are very close to an is-not, is-too shoving match over our divergent conclusions despite what I regard as substantial agreement on some of the underlying details. I wish to neither hijack the comments section here nor range nearly so widely as your arguments, so I’ll limit myself to a couple points. I would not characterize what is now happening in the world as the normal ebb and flow of, say, a deer population within a bounded habitat. Humanity has indeed overshot its resource base, but that is not all. Since we have expanded our ecological niche to the entire planet and allowed industrial civilization to grow into a WMD, evidence points to our having set off the sixth great extinction event. That won’t be a minor setback for us any more than other large vertebrates. When I referred to limitations on other species, I meant their inability to transform the globe as we have. We undoubtedly agree on declines in energy, complexity, population, etc. leading to collapse, not that understanding such things through scientific modeling has enabled to do much to stem those declines or prepare for the aftermath. That’s frankly beyond our political and social reality. What can’t be plotted, though, and which is the subject of Paula’s guest blog, is the direction human consciousness will take among survivors. I agree that the singularity is a pipe dream; I don’t agree that rejoining nature is meaningless. I just don’t know what form it will take, not that it matters. I’ll agree to disagree on your eco points in general. On the specific point of this post on Paula Hay, that’s quite another matter… I’m strongly against any idea that: a) All the “permanent never-quite-sure” of the agricultural revolution can be solved with reference to the Bible, unless you are looking for a just-so story; b) All our culture ‘comes from Athens and Jerusalem’, one neatly providing the what and the other the why, in such a way that we can suddenly understand the ‘horror of civilization’ and ‘evolve’ beyond it, (being saved by bible-study from our sin of being civilized IOW); or c) Alphabets share an essence with spirits and deities which allows both to be posited as part of a (totally putative) break-up of a unified consciousness, without any reference to what people who do experience spirits and deities actually say about them. Why would “spirituality” be anything else than neurophysiology seen “from the inside”, just like any other qualia? It seems that Michael Persinger has pretty solid evidence that spiritual outcomes can be tweaked by physical manipulations like every other perception. Sure I know Persinger’s work, and indeed the entire “it’s all neurophysiology” argument very well. Interesting that you link to his appearance on Skeptiko, since the host of that show has long been persuaded evidentially (not experientially) that there’s a good deal more to spirituality than neurophysiology! My point vis-a-vis Hay is well made by Hufford. Suggest a read — it’s evidential. Hay’s argument only works if you assume all spirituality is false and all spiritual experience is false (well not even then actually, but that’s another matter). When you’re dealing with the bible stories, that involves you in a number of suppositions, such as that the only alternatives to a psychological reading are literalism, or mistaking myth for fiction, etc., as Hay says. She implies that her Genesis interpretation is correct and a spiritual interpretation incorrect, after all. But these simplistic interpretations, aren’t at all typical of spiritual or religious readings, those of the Kabbalists for example, who would not agree that ‘psychology determines myth’. They would think of the Genesis myth as symbolizing a real ongoing spiritual-creative act, not one coming from their own minds only, nor even dependent upon their own minds. For them, myth is determined by divine act, and the universe likewise, including their own psychologies. And there’s plenty of evidence to show that the experience of “spiritual reality” (to call it that), rather than emotional commitment, dogma or faith merely etc., is, a great deal of the time, what leads to spiritual beliefs. One does need to take account of that, and of what people who experience “spiritual reality” actually say about it, if one is using spiritual/religious accounts as proof that one understands the psychology of a religious text. Of course maybe you think there is nothing “real” in any sense about any spiritual experience — I’d disagree; with whom would the writers of Genesis agree though? With whom would the Kabbalists agree? I think such statements are the crux of the misunderstanding. Willing to conflate the “two sides” of the same phenomenon, a view from the “outside” (neurophysiology) and a view from the “inside” (spirituality) like the sweetness of sugar (inside) versus the chemical/physiological properties of sugar+papillas+nerves+neurotransmitters+etc… (outside) these ARE THE SAME but viewed from a different place. NO “spiritual event” occurs without a corresponding physical change, yet which we may not be able to fully delineate. For short, the “transcendence” of spirituality is rubbish, the gods and spirits “exist” only as anthropomorphic projections, they don’t have autonomy, where there is no human being there are NO gods or spirits. Which doesn’t means gods or spirits aren’t powerful enough to kill you or heal you. I’m afraid I don’t agree with you! But as I say, that’s not only a big argument, it also doesn’t affect the points I was making. it also doesn’t affect the points I was making. Okay — Jason, you’ve brought an enormous amount of assumption and misunderstanding to what I’ve written, enough to take the time to clarify things. I’ve been content for the most part to watch the conversation from afar but I’m not comfortable allowing some of these things to stand. First, it seems you are assuming that I am some kind of hard-core atheist out to disprove spirituality. This is about as far from true as you can get. My post here at Ribbonfarm barely scratches the surface of the amount of thought I’ve put into these things, which is necessarily the case since it’s a blog post and not a book. There is not enough information present for you to make assumptions about my personal spirituality. If you would like to know more about what I believe and why, the course my own spiritual evolution has taken over the years and why this subject is crucial to me, you’re welcome to contact me directly. I never said anything even remotely like this. Why would you think I did? On point a): This couldn’t be further from my intent. As I’ve stated elsewhere, Western mythology is significant to us because it is ours, and it is well worth trying to understand if we are to understand our own culture. As a culture, we view ourselves as broken, unwhole, in need of salvation — whether one is religious or not — and this comes from our mythology. My effort is to try to understand this, and to communicate what I’ve found. Once again, as stated elsewhere, I offer no answers. I don’t have any answers, and I freely admit that. On point b): This also couldn’t be more untrue. Without getting into specifics, what you see here is an expression of my efforts to understand my own spiritual experiences in terms that make sense to me. It’s not an uncommon journey. I’m glad John Michael Greer was mentioned — his Catabolic Collapse theory does far more to explain civilization’s collapse habit IMO. Greer’s theory of catabolic collapse is useful as far as the mechanics of collapse go, but it doesn’t offer anything beyond that. I cannot stand Greer’s work for the most part. It is a gigantic mistake to chuck out our own mythology and try to graft foreign mythologies into our collective conscious — all that does is shove our own mistakes into our shadow, where they will play out again and again. And in fact, that’s what he proposes — a neverending, cyclical rise-and-fall that repeats ad nauseum. There is nothing in this view but utter hopelessness. Our own mythology — yes that horrid Judeo-Christian thing recorded in the Bible — proposes both a beginning and an end to the cyclical rise-and-fall, as well as a hopeful vision for what comes after. This matters, whether Greer and his groveling disciples care to think so or not. So, for one to be polytheistic and rational is a good thing, but attempting rationality with regards to animism and/or monotheism is "one more attempt to cleverly out-do spiritual experientialism by scholarship?" How does that work? The Truth is complex; in a system of this complexity — human culture and consciousness — to look for single causes or sources of truth such as a ‘fall event’ is… well, very Judeo-Christian. Again — Western mythology is Judeo-Christian. How can it be bad or wrong or misguided to look to our own mythology to understand our own worldview? More to the point, how does being Judeo-Christian warrant complete disregard and dismissal? Again — I never proposed such a thing. This is a Greer assumption based on his own extreme distaste for primitivist ideas. I would appreciate if you kept Greer’s assumptions separate from my work. Again — I never said any such thing. Your anti-Judeo-Christian attitude is downright fundamentalist, do you realize that? Just to be clear, in case I haven’t been before now — my goal and my intent is to delve into our own Western mythology to understand the Western worldview better, to come to grips with who we are, and where we’re heading, as a culture. All cultures have their stories and their mythologies; ours is no better, and certainly no worse, than any other. This is an absurd misrepresentation of what I’ve written. c) Alphabets share an essence with spirits and deities which allows both to be posited as part of a (totally putative) break-up of a unified consciousness, without any reference to what people who do experience spirits and deities actually say about them. In the Western mythos, alphabets absolutely and unequivocally share an essence with spirits and deities. The New Testament opens with the following sentence: "In the beginning was the Word, and the Word was with God, and the Word was God." The Hebrew alphabet and written language contain many levels of communication, some of which are downright mystical. The "’totally putative’ break-up of a unified consciousness" is the very subject of the Fall mythology that I’ve been attempting to understand. It’s not something I made up out of the clear blue sky, I never claimed it was anything other than mythology, and my effort here is to present a "what if" scenario demonstrating that there is some basis in the idea that could be historically accurate. You are in no way obliged to believe me or accept what I’ve written — but I would submit that what you’re rejecting is your own idea of Judeo-Christian religion, and not what I’ve actually written. As far as references to what people who have spiritual experiences have to say about spirits and deities, that is far beyond the scope of this essay. I imply no such thing. You infer it, based on your own very rigid presuppositions of my intent. Moreover, if I am even remotely correct, the spiritual implications are profound. Perhaps this is the motivation behind your strenuous objections? That the Judeo-Christian mythology you evidently hate so much has some spiritual merit after all? Psychology determining myth is not a real, ongoing spiritual-creative act? I personally consider that process sacred. It’s the very thing in which I’m engaged. And there’s plenty of evidence to show that the experience of “spiritual reality” (to call it that), rather than emotional commitment, dogma or faith merely etc., is, a great deal of the time, what leads to spiritual beliefs. One does need to take account of that, and of what people who experience “spiritual reality” actually say about it, if one is using spiritual/religious accounts as proof that one understands the psychology of a religious text. Who are you to say that my experience of Genesis does not constitute "spiritual reality?" How can you be so certain that "spiritual reality" consists of something outside everyday, mundane things? I make no such distinction in my own life. Taking the dog out for a dump is no less spiritual than sitting and meditating for an hour with theta-wave binaural music in my headphones. If I delve into a sacred text and by reading it come to understand something about myself, and my wider cultural context, how does this not qualify as a spiritual experience? I would submit that your incredible misunderstanding of what I’ve written is based in your assumption that "sacred" and "profane" are entirely separate, and that I am writing from this exact opinion. I’m not. Instead of leaping to absurd conclusions based on your own assumptions — or, dare I suggest, those of John Michael Greer — you could just simply ask for clarification. Paula, I’m sorry to have been ‘attacky’, and I’ll try not to be ‘defendy’. But I will also try to answer what you wrote. By all means tell me where I am wrong.
. As a culture, we view ourselves as broken, unwhole, in need of salvation — whether one is religious or not — and this comes from our mythology. You say further that “Western mythology is significant to us because it is ours”; what I say is we disagree profoundly about its level of significance, the Judeo-Christian mythos that is, and its determiningness in our culture; you decide to impute that significance to it, which I’m saying it doesn’t necessarily have. I don’t see that absolute significance. … you aren’t right. These are not “grafted” and not foreign “mythologies” or spiritual experiences. (And BTW I’m a fan of Greer’s collapse theory, not his spirituality!) They have never been absent from western culture. That’s point one. I reject any idea that “Western mythology is Judeo-Christian and that is that” in this simplistic way. So I have no anti-J-C attitude — I don’t for a minute accept the idea that the J-C mythos is always the most fundamental, the only mythos of the West, etc. It just ain’t so IMO. But I know it has reality and importance, and have argued for it more strenuously in other contexts when it has been dismissed as insignificant, because as you have rightly said, it’s far from fashionable just now in a number of quarters! I have absolutely no doubt of its ‘spiritual merit’… just not its exclusive merit and importance in the “West” or anywhere else. And I do believe ‘exclusive merit’ is what it has claimed, and I do believe you have slipped into claiming it too. In other words, didn’t you definitely say that the “what” was Athenian logic, the “why” was Jerusalem spirituality? My view is that without an understanding of this shift, there can be no evolution beyond the devouring, predatory virus that is civilized culture. And doesn’t that mean that you do believe, to some extent, that your researches will evolve us beyond our damaging repeating pattern? (Or that you hope so anyway!) Sarcastic or not, what I wrote was really not so wide of the mark. Who are you to say that my experience of Genesis does not constitute “spiritual reality?” How can you be so certain that “spiritual reality” consists of something outside everyday, mundane things? Well, those are my feelings and arguments. I’m sorry if you feel I picked on you. I also apologize to moderator and host if I disturbed the peace. “I am not here employing the word ‘myth’ in its present popular meaning of something widely believed and contrary to fact, but rather in its earlier sense, as a metaphor of some subtlety on a subject difficult to describe in any other way. — Carl Sagan, Dragons of Eden. So this form of society characterized by limnal consciouisness is very fragile, no? Every time people living in this type of society are contacted by “civililized people” their way of life it completely irreperably destroyed. Its put forth as superior, yet its not at all robust. Not in the least bit. Well, I personally wouldn’t go that far. They’re a very interesting set of mythologies. Paula’s interpretation of them is fun. Is it “necessarily so”? Nope. Does it wipe out at a stroke all other interpretations the way she thinks? Nope. Does it have any chance of doing the job she wants it to do? Nope. Does it unconsciously parttake of Judeo-Christian guilt complexes in different language? Hell, yes! In recent years it has become fashionable in (what were once called) “preparations” circles to disavow Western mythology and the religions it has spawned in favor of supposedly “indigenous” and “earth-based” spiritual systems. I understand the thinking behind this: Western mythology has brought us to where we are, and more of the same isn’t going to help. I think this is a mistake, simply because it won’t work. By the time we Westerners enter adolescence, our brains are hard-wired for our particular mythological pattern recognition. That’s not only massively incorrect, it’s provably so. My blog does allow comments. You have to be logged in first. Does it wipe out at a stroke all other interpretations the way she thinks? Nope. Your insistence on misrepresenting my essay is truly staggering. Nowhere have I stated or even implied that I desire to wipe out all other interpretations. The fact is, I don’t desire any such thing. Why on earth do you insist on making these assumptions?? Does it have any chance of doing the job she wants it to do? Nope. What job, exactly, do you think I’m trying to do? Does it unconsciously parttake of Judeo-Christian guilt complexes in different language? Hell, yes! There’s nothing unconscious about it. Western culture carries the baggage of Judeo-Christian guilt and getting past it requires examining the roots of this guilt, just like it does for any individual. Guilt is healthy. It means you have some level of connection and caring to others. It means you’re human. Total lack of guilt is sociopathic. Do you prefer a sociopathic culture? Nowhere have I stated or even implied that I desire to wipe out all other interpretations. The fact is, I don’t desire any such thing. Why on earth do you insist on making these assumptions?? I’m convinced that no interpretation to date captures either the point of the story or its gravity. In other words, you say that no previous interpretation has the point of Genesis correctly. So in that sense you do “wipe out all other intepretations”. That’s why I said it. The one you mentioned at the beginning, to evolve “beyond the devouring, predatory virus that is civilized culture” and all that. Well it’s late so no detail. I’m not talking about generalized human guilt which couldn’t be caused by Genesis (since claim Genesis isn’t at the root of every single culture as you’ll admit) but about the specific Judeo-Christian guilt which you say we all have in our cultural meme DNA, and I say you are just assuming we all have it, and it’s not quite so simple. If it’s not unconsciously intended, then what you really mean by these epithets like “devouring, predatory virus” is that our culture is actually ‘guilty’ in some divinely-mandated way? Again, it seems to me that this is just your belief system… but what the hey, this isn’t major. I’m happy to take this out of the comments page here, our good host has been more than patient. (I would be genuinely happy I mean, I say that not only for form’s sake.) If you’d like to do that say the word. Alright folks, keep it civil please. The discussion is also wandering far enough afield that I’d like to request that the bunny trails be taken offline. Sorry Venkat — feeling a little attacked and defensive. I’ll refrain from further defensive responses. There are two approachs to take when you read a posting like this one. The first is to try to get your head around any new concepts and figure out where the discussion is going from a big picture level – and the other (as evidenced by many comments so far) is to try to force the whole thing back into your a pre established world view by attacking at the level of detail. My view is that most of the people commenting here have completely missed the big picture of what Paula is trying to say and instead have to chosen to operate at the detail level. In fact I’m astounded at where this discussion in the comments has ended up. To me the discussion initiated by Paula is incredibly fascinating, possibly even because it roams over quite a wide territory (something normally forbidden in academic circles) but certainly because it goes somewhere new and also because it feels quite relevant to my life. It takes a great deal of energy to defend yourself from this kind of attack and it is mostly a complete waste of time as the ‘attackers’ (and I use that term quite loosely) have no intention of seeing the big picture and are just trying to make the debate fit back into a pre-established framework. As I said earlier it’s quite easy to tell if a person is trying to engage with the subject or whether they are just trying to shut it off, a genuinely interested person might still offer criticism but done in a constructive and collaborative way. Thanks Aaron — you are right of course, and I’m a bit embarrassed to have allowed myself to get roped into what, in other contexts, could have become a silly flamewar. Lesson learned and filed away for future reference! as much as they may be loath to admit I think Paula is writing above many people’s heads. I think her erudition on a broad range of subjects exceeds that of most people. What is your response to my idea that these Liminally conscious, communal, cooperative types, “fell” when they were preyed upon by a culture of predatory psychopaths? The basis of this idea is that this liminal “pre-conquest” consciousness is a product of the wiring of the prefrontal cortex, and represented a recent evolutionary pinnacle. You may be familiar with the concept of the so called reptile brain? The idea is that more recent evolutionary innovations, do not replace older systems but are instead built over them and thus modulate them. These older core systems are preserved because they are related to core biological functions. Serious mutations in these regions are deleterious. So my premise is that People with mutations that interfere with the workings of the prefrontal cortex are psychopaths. There is evidence that there is a genetic basis to this, its associated with personality traits such as egocentrism and lack of empathy, lack of emotional affect, predatory aggression etc. So this represents an evolutionary step back. Indeed a fall. Veblen pointed out a kind of symmetry between common street thugs and the leisure class. He didn’t develop it to the degree I am, but my theory is that both groups are genetic psychopaths, separated, only by respective levels of sophistication . Western Culture is a product of an oligarchy of genetic psychopaths, manipulating people possessing empathy, into believing that the Oligarchs predatory, even parasitic designs on them actually represents “altruism” on there parts. This is best illustrated with the idea of a “priestly caste.” collecting tithes and offerings on behalf of a deity, working hand in hand with a warrior caste, collecting “tribute” or taxes in order to support the protection they offer. The binary thinking comes in as a result of the Master Morality. “Good” is doing as we say, “evil” is contradicting us. Any thoughts on creating a “robust” society based on empathy? Is such a society possibly already in the works? Well, I think even more fundamental than empathy is a society’s resource base. If the resource base is healthy, empathy can flourish; if resources are scarce, people start thinking about themselves and their own families’ well-being, and to hell with everyone else. I think that what a robust, empathetic society would need is a monetary system based on abundance rather than lack. I’ve seen one such example that could really work, I’m sure there are others. I would describe it in some detail but I don’t want to take the discussions here too far afield. Basically, economist and investment banker Catherine Austin Fitts devised a way to profit from consuming less, and to reinvest that money to create a feedback loop — the less consumption, the more profit. In an economic system like that, the psychopath would lose money & the empathetic and generous would profit. It’d be more robust than anything to date. Jeremy Rifkin has an interesting book that I haven’t yet finished, The Empathic Civilization. Actually, all of his books should interest you Paula, and help with your research. He’s an extreme, polemical liberal, but has a lot of good ideas nevertheless. I did try reading Rifkin some years ago and found his polemical liberal thing so irritating I couldn’t continue. But I’ll check out his stuff again — I’m probably a bit better at wading through political chaff than I once was. I can see a trip to the library is in order! this whole seperation of liminal and supraliminal seems artificial. if rocks and animals had souls, why not why pieces of paper, metal disks and ice’s, for that matter? i love my buick as much as i love my cat, just sayin’. I wish you knew German. In her books, German sociologist and ethnologist Gisela Bleibtreu-Ehrenberg (see http://en.wikipedia.org/wiki/Gisela_Bleibtreu-Ehrenberg ) approached these issues based upon Mircea Eliade, Marija Gimbutas, Michel Focault, and Adorno’s and Marcuse’s Critical theory. c.) the major “break” that came with the violent Indo-European conquest by belligerent, originally sexually egalitarian (= they knew no gender roles) nomadic pastoral warriors from Central Asia that initiated the Iron Age c. 3,000BCE. Her underlying thesis is that when analyzing Western culture and civilization in order to dissect this proto-historical superimposition of what originally were three different cultures, it’s important to not ONLY look at Abraham and Mount Olympus, but also another part of the “fallen” post-conquest Indo-European “soup”, and that is Valhalla. That’s mainly because proto-historical Norse/Germanic/Anglo-Saxon culture was much more archaic, that is much less rationalized, and thus easier to “read” from a comparative cultural anthropology viewpoint, in surviving records than Judeo-Christianity and Greco-Roman polytheism, even though they all stem from the same proto-Indo-European root that was modified by its proto-historical clash with the Maternal Megalith Culture. And in “Vom Schmetterling zur Doppelaxt” (1990), her work on misogyny, she gets closest to the same source material you’re dealing with here, among other mythologies also interpreting the Judeo-Christian story of the Fall of Man in light of the conflicting three anthropological strata of Western culture (Subarctic Shamanic Culture, Maternal Megalith Culture, and subsequently hegemonical Indo-Europeans). As for overcoming post-conquest consciousness, I’d suggest you to read up on Herbert Marcuse, “Eros and Civilization” (1955). Marcuse suggests a socio-cultural shift towards a projecting, “positive narcissism” as the answer where we’ll all be one again in affectionate, peaceful harmony, in order to undo the great traumatic divide between individuals that initiated history along with cold, scheming, and utilitaristic instrumental reason obsessed with ruthless efficiency instead of personal well-being, and that also gave rise to aggressive, sado-masochistic social-Darwinism, exploitation of both oneself and others (there’s quite some of Max Weber here, “The Protestant Work Ethic and the Spirit of Capitalism”, only on a much wider cultural anthropological scale where Marcuse goes back at least as far as Plato), and rigid, tyrannic Western conformism enforced and re-inforced by sado-masochistically passing on and internalizing these ethnocentric values. Instrumental reason, here, is a cultural drive towards abstractness, transcendence, machine-like efficiency (requiring people to “function” and be “productive”) and total lack of spontaneity/emotion/feeling, all due to repression of demonized sensuality. Additional reading to help get a grip on “Eros and Civilization” might be Adorno & Horkheimer’s “Dialectic of Enlightenment” (1947; really the most fundamental text of all Critical Theory), Marcuse’s “One-dimensional man” (1964), his “Repressive tolerance” (1965), “The Authoritarian personality” (1950) by Adorno et al., and maybe Adorno’s “Minimal Moralia” (1951). Of course, Freud, next to Weber, is paramount in all of Critical Theory in case you’re not familiar with him yet, at least “Three Essays on the Theory of Sexuality” (1905), “The Ego and the Id” (1923), and “Civilization and Its Discontents” (1930). But all that only really makes sense when put into a cultural anthropology perspective of the genesis of the West since the last glacial period by Bleibtreu-Ehrenberg. Granted, Marcuse partly suffers from relying too much upon one of Freud’s personally disowned works, “Totem and Taboo”, for his proto-historical cultural anthropology stuff in circa the first half of the book. On the other hand, “Eros and Civilization” is good evidence of the fact (that 1947’s “Dialectic of Enlightenment” also very briefly brushes on in passing, in the “Odyssey” chapter) that Gimbutas only coined a new name (that of “Old Europe”) for the scientific hypothesis of a proto-historical maternal culture preceding Indo-European patriarchy that had been around for circa a century before her (and way before second-wave feminism, at that), a fact which also Bleibtreu-Ehrenberg emphasizes by only recommending Gimbutas as a good “summary source” for a century of archeological, linguistic, and anthropological (proto-)Indo-European studies prior to her. Thus, Gimbutas herself may have gone overboard in some places regarding Europe prior to the Indo-European invasion, but that’s no reason to attack a discovery alltogether that never was genuinely her own achievement to begin with. By simple translation after WWII, Gimbutas only brought to the Anglosphere what had been agglomerated as common knowledge among (male-dominated!) Indo-European studies scientists and scholars in Central Europe and Scandinavia since the mid-1800s. I found the development of ideas within your post very lucid, interesting, and with good interlock of conepts and good rhythm, making for a smooth ride for the reader. Not sure what the earlier commenters were on about with the dismissals citing post-modern scholastic writing. Was it the use of the word “symbology”? Did that trip them up? Anyway, I did find the last paragraph a bit jarring; I didn’t feel you set up your conclusion from within the essay. I could sense you feel strongly about the apocalyptic vision you’ve had and maybe you rushed to it without sufficient support. This thread’s probably dead, but anyone doubting the main thrust of Paula’s post here should read Don’t Sleep There Are Snakes by Daniel Everett, about the piraha people of Brazil (that’s the Portuguese name for them, can’t recall their own name). His account of learning their fascinating and unique language makes it clear that they are cognitively FAR DIFFERENT from anyone born into what we’d call a “civilization.” They can’t do math — adults can’t learn to do math. Their language lacks logical quantifiers. They can’t specify a relative quantity, they are constrained to using several stalk quantities (“pinch”, “handful”,”armsfull”, etc.). Everett’s had a long-running feud with Chomskians because this language doesn’t seem to have recursion, suggesting that Chomskian grammars might have more to do with…well…cognitive archaeology than with the brain itself. The language has no color words. The word for “disappeared” is equivalent to “left my field of vision.” And on and on, this is just from memory and even so I’m cutting the list short. A lot of the book is about how their culture is (figuratively) allergic to new ideas and outside influences on the culture, which probably helped maintain their old-school cognitive patterns in the face of contact with Portuguese-speaking jungle communities. It’s been a very important book to me in dispelling some of the assumptions I’ve made about how minds/brains work. Members of “primitive” cultures like the piraha really do process information differently than do “civilized” folk. And they seem a hell of a lot happier than any of the people I know with plasma screen TVs, iphones, climate control, and cars.